In its Annual Performance Report, the Small Business Administration (SBA) announced that to cover the costs of its 7(a) loan guaranty program, SBA would either have to raise fees or it would need an additional $99 million in Congressional funding. With the 7(a) loan program, SBA guarantees up to 90 percent on small-business loans of $5 million or less. According to government reports, SBA approved more than 60,000 7(a) loans totaling more than $25 billion in fiscal year (FY) 2018. 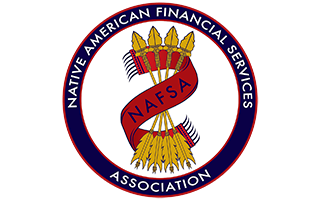 The average loan amount was $420,000, and about a third of the loans go to minority-owned businesses with just under 1 percent going to American Indians. SBA charges users an “upfront fee” when a loan closes and an “ongoing fee” as long as a loan stays on the books. Under the current fee structure, SBA earned $94 million more than needed to cover the program’s credit costs in 2017 and $757 million more than credit costs in 2018. It is projected to earn $143 million more than the program’s credit costs for the current fiscal year as well. The 7(a) loan program has historically achieved a zero subsidy rate, which is when the program generates enough revenue, mostly via fees, to not require congressional funding to issue new loan guarantees. In fact, Congress did not provide funding for the program from 2007 to 2009 and from 2014 to 2019. Increase the upfront fee for loans with a maturity of one year or less to 0.5 percent from 0.25 percent. The House Small Business Committee held a hearing last Wednesday to hear from the SBA on its proposed changes to the program. Timothy Gribben, SBA’s chief financial officer, doubled down, arguing that either Congress must provide SBA with $99 million or it would have to adjust its fee rates which it cannot do without Congressional authorization. With the immense popularity and bipartisan support for the program, it will be challenging for SBA to obtain congressional authorization to increase its fees for its flagship loan guarantee program.